Theories of moral, and more generally, practical reasoning sometimes draw on the notion of coherence. 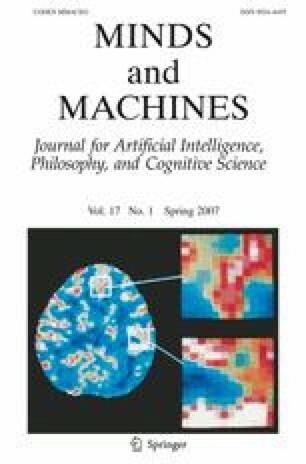 Admirably, Paul Thagard has attempted to give a computationally detailed account of the kind of coherence involved in practical reasoning, claiming that it will help overcome problems in foundationalist approaches to ethics. The arguments herein rebut the alleged role of coherence in practical reasoning endorsed by Thagard. While there are some general lessons to be learned from the preceding, no attempt is made to argue against all forms of coherence in all contexts. Nor is the usefulness of computational modelling called into question. The point will be that coherence cannot be as useful in understanding moral reasoning as coherentists may think. This result has clear implications for the future of Machine Ethics, a newly emerging subfield of AI. I wish to thank Andrew Bailey, Pierre Boulos, and Paul Thagard for comments and questions during the early stages of the work that eventually lead to this paper. I would also like to thank the participants at both the Dartmouth AI@50 conference (July 2006) and the North American Computing and Philosophy Conference (August 2006) for valuable input. For financial assistance during the writing of this paper, I am indebted to the Social Sciences and Humanities Research Council of Canada. The arguments fleshed out below (in favour and against capital punishment) are versions of the deductive arguments in Thagard’s Bernardo example. The idea here is not, in any way, to attempt a complete rendering of the arguments in question. Rather, my claim is that even if we start to fill in just a few of the details of the deductive considerations, it will become difficult for most people to carry out the required computations. It is my view that many of the principles Thagard cites in his version of the Bernardo example have implicit ceteris paribus clauses and do not license deductions; at best, they license conclusions that are prima facia valid but subject to defeat. The logic of the application of these principles strikes me as non-monotonic. However, Thagard appears to give them a deductive, monotonic treatment. I have attempted to fill in the missing premises that are required for the deductions to go through. If still further premises are required to preserve deductive form, then that further aids my case (since increasing the number of premises leads to an increase in the amount of computation required to solve the coherence problem, and my argument turns on computational difficulty). Moreover, further arguments might be added to this simulation. The statement, “Capital punishment neither prevents serious crime nor promotes a sense of security”, is not used to draw any conclusions, but it could be used to do so, increasing the number of links to existing propositions or to new propositions, and that increases the number of computations required. Of course, arguments not even related to those already in the simulation could be added, increasing complexity even further. Promoting a sense of security is justified. Capital punishment prevents serious crime and promotes a sense of security. Capital punishment will promote a sense of security and prevent serious crime if applied to those who committed serious crimes. Therefore, capital punishment is justified for persons who have committed serious crimes. Preventing serious crimes is justified. Capital punishment is justified for persons who have committed serious crimes. Paul Bernardo is a person who has committed serious crimes. Therefore, Paul Bernardo should be executed. Killing a defenceless person is wrong. Paul Bernardo is a defenceless person. Therefore, Paul Bernardo should not be executed. Capital punishment always requires killing a defenceless person. Therefore, capital punishment is wrong for all persons. Capital punishment is wrong for all persons.